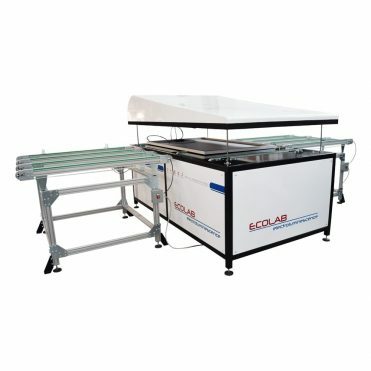 ECOPACK R is a fully automatic packaging station composed of a 6-axis robot, which, thanks to a special vacuum cup system, picks up the outgoing modules from the testing area and stores them in 4 or more different pallets: one for each module power class. The sorting phase is automatically made by the robot due to its sophisticated software. 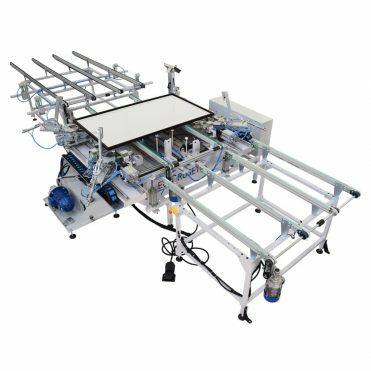 The storage can be made both horizontally and vertically, and the plastic or cartoon corner-covers must be positioned manually by the operator. 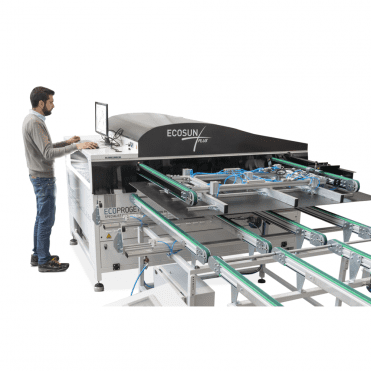 Ecoprogetti’s automatic packaging and sorting system has a capacity of over 170 modules/h, making one unit enough to manage up to a 300 MW line.